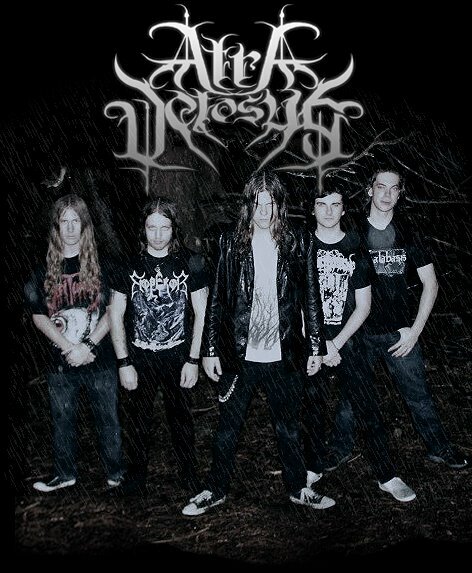 1) How long has this band been around for and how did you guys come up with the band’s name? 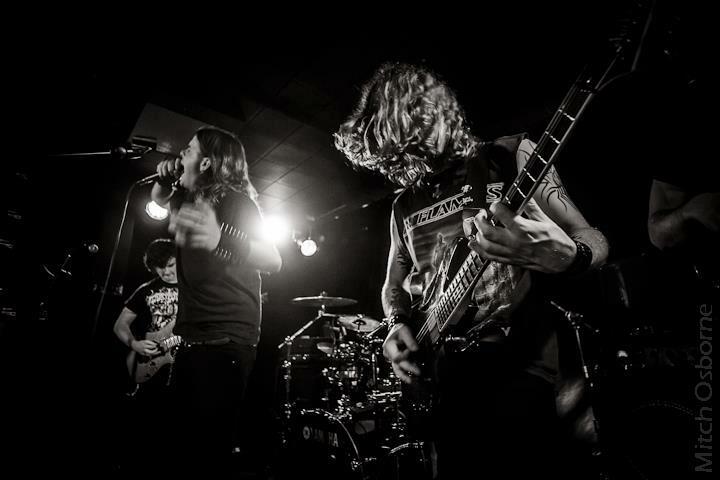 Slikver: The band started around March 2011, originally consisting of 2 members; myself (Slikver) and Thorodan. 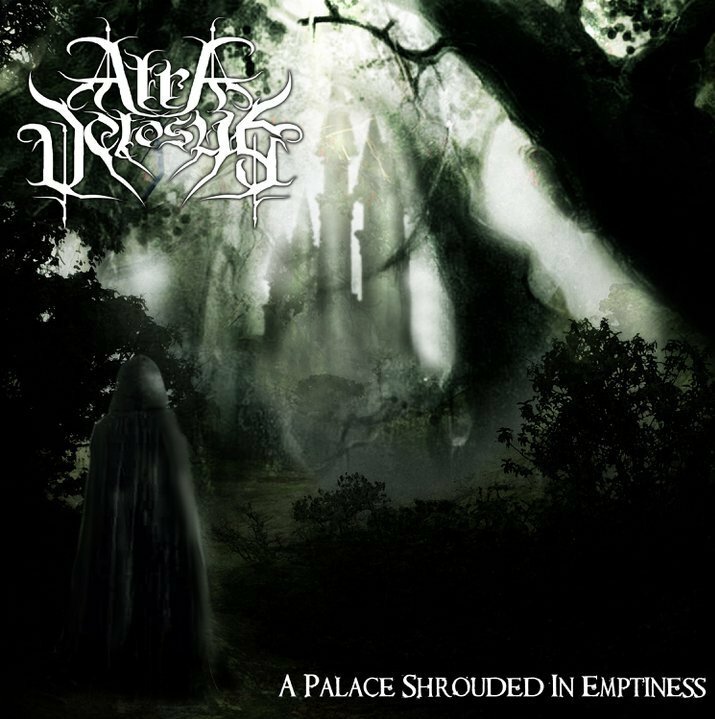 I quickly wrote the 3 songs for our demo “A Palace Shrouded In Emptiness” and spend the next couple months recording. Later in the year we recruited a full line up in order to start playing live shows. As for the name, it can be loosely translated to “Ancient Black Winds” in Latin. But the meaning isn’t overly clear and is open to interpretation. 2) What has the main goal been for Atra Vetosus and how has the reaction been so far? 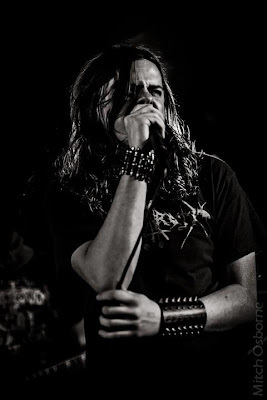 Slikver: The main goal for me was to write music in the vein of melodic black metal as it’s my preferred genre. Previously I’ve written for Astral Winter which has more focus on the symphonic side of black metal. So I wanted to write music that more reflected a melodic more guitar driven sound. 3) How did the recording process go for A Palace Shrouded In Emptiness? And who has contributed to the songs on the demo? Slikver: Shortly after Thorodan and I formed the band I started writing the material which would later become our demo. The songs were written in about the space of a week or 2. For recording we used programmed drums as we were trying to get the song’s recorded in a quick timeframe. I then recorded the bass, guitars and keyboards using a line 6 ux1 interface. For vocals we also used the line 6 ux1 with an external mixing desk to boost the signal. The recording process was completed reasonably fast but didn’t see a release for about 6 months later. 4) What has the live gigging been like for Atra Vetosus and can you guys name some bands you gigged with? Joe: The shows we have played thus far have gone reasonably well considering how early we are in our live career, and given how small the scene in Tasmania is at the moment. Some bands we have been fortunate enough to play with include Intense Hammer Rage, Nosce Teipsum, Whoretopsy Mephistopheles, Blackwater, Synthetic Breed, and Black Majesty. 5) Is there a new album out now or in the works? Slikver: After finishing our demo I began writing the material for a full length album in-between my other projects. Earlier this year the writing process was complete and we announced the title “Voices From The Eternal Night”. We started recording a couple months ago in my home studio. Recording process has been slightly different this time around. We’ve put much more focus on the quality of the recording this time and making sure everything sounds the way we want it. We’re just over half way through the album at the moment. 6) If you had to name some bands that influenced you guys, who would they be? Slikver: When I first started writing our demo my main influences were mainly melodic black metal bands from Sweden, around the mid 90’s era. Vinterland – Welcome My Last Chapter is one of my favourite albums and a big influence as to why I wanted to write music in this genre. Dissection – Storm Of Lights Bane & The Somberlain Those were the main albums I was listening to at the time I started writing Atra Vetosus material. Of course there were other bands that influenced me too, but they would be the main one’s. 7) If there is someplace your band like to go next in your musical careers, what would that be? 8) How has music changed from when you started making music in Astral Winter to your band now, and how do you think the music changed overall from that band to your new one and is their similarities or do you think it stands in a different musical level all on its own? Slikver: I still write actively for both bands, and the process is pretty different for both. Astral Winter is based around a lot of orchestrations and symphonics, and a lot of atmosphere. The tuning is 2 steps lower as well, so that gives it a heavier/darker sound. Also use a lot of power chords in Astral Winter. 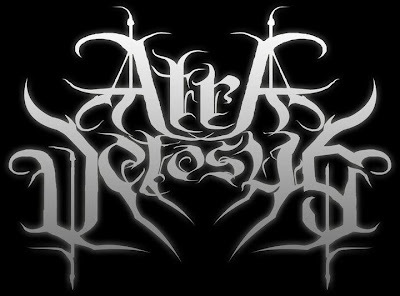 Atra Vetosus is all in standard tuning but uses a lot of minor chords, sus and 7’s etc. Songs are based mainly around the melody of the guitars as well. I only do backup vocals in AV so Thorodan writes most of the vocal melodies, so that gives a different sound/feel to AV, as a lot of the time it’s not melodies or idea’s I would have thought of if I was doing them myself. 9) If you got merch available and releases, where would you guys direct your listeners to buy them at? May it be immortal frost or elsewhere??? Are they also at gigs? Slikver: Our demo is still available from Immortal Frost Productions, and we will have copies available at our upcoming gigs too. 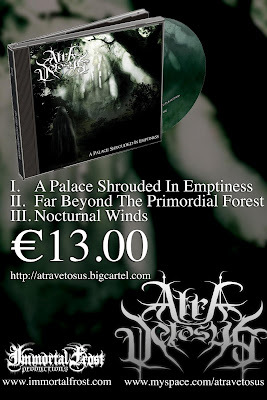 The best place for merch and cd releases would be to go to our website (www.atravetosus.com), which has just been re-launced, with a free download of the single from our album “Spirit Of The Forgotten Woods”, so feel free to check it out. We don’t have any merch atm, other than free buttons we give out at shows. But we will be doing some shirts and maybe some other things soon. 10) What equipment do you guys use now and what is your favorite instrument? Slikver – Jackson guitars, w/ EMG 81 and 85 pickups. Randall guitar head, Line 6 POD HD guitar pedal and Ernie Ball 10 – 54 strings. Damon – Ibanez guitar, Ibanez amp, Line 6 POD HD Pro and Ernie Ball 10 – 54 strings. Joe – Kahzan Stagg and Istanbul cymbals, Vic Firth Sticks, Mapex drums, and Gibralter pedals and hardware. Remo drum heads. 11) How long do you guys expect to make music for and what are your goals till the end of this year onto the next? Slikver: For this specific band it’s hard to say. I’ve already written most of the material for a 2nd full length album and will probably continue to write more songs when the inspiration hits. So as long as things go well I can see us continuing for a fair while. There’s always a lot of factors to consider and unforeseen circumstances that can arise, so we’ll just have to see. At present though, it seems like we could be around for a while. 12) I will sum up this interview now with one more question, what do you have to say to everyone out there that listens and appreciates your music, and is there anyone you like to mention? Slikver: Just thanks to everyone that has listened and enjoyed our music, and to those who have taken the time to tell us you enjoy our music and or lives shows. Always good to hear positive feedback, and to know people dig what you’re doing. Also, look out for upcoming album, its sounding pretty awesome so far! Very keen to release it.